1) What size should I order? Do all styles fit the same? Rothy's do not stretch. They will fit the same from day 1 to day 365. 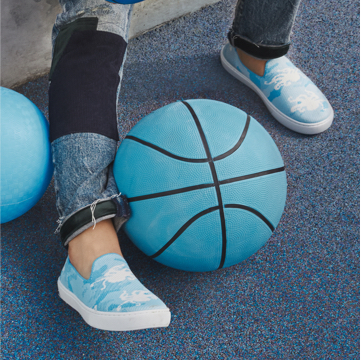 There is no break-in period.The knit structure is designed to hug the contour of your foot with a slight amount of give. If they are a little snug but not painful, wear them around the house (not outside!) for a day or so to see how they will give. After a day, if your shoes still feel too snug, we recommend going up a half size. The only thing that affects the shape and fit is heat during the wash or drying process. Make sure to never apply heat to your Rothy's, and make sure to always wash them in cold water. With proper care, your shoes will maintain their shape and fit. 3) How do I care for my Rothy’s? Our shoes are entirely machine washable in cold water. Just remove the insoles prior to washing and throw them in the washing machine with your shoes. Wash on a cold, delicate setting with mild detergent. Leave them to air dry. And just a reminder: any heat will cause Rothy's to shrink and lose shape, so make sure to never wash with warm water or put them in the dryer. 4) What shipping methods are available, and how long will it take to get my order? Orders placed before 12pm PST via USPS Ground will ship that evening. Orders placed before 1:00 PM PST via expedited orders will ship that evening. Orders placed after 12pm PST on Friday or over the weekend will ship on the following Monday, barring any national holidays. We offer 3 different shipping options with USPS and UPS: - USPS Standard Ground (Free): 5-9 business days - UPS Expedited ($25): 2-3 business days (Orders placed by 1:00pm PST will ship the same day.) - UPS Rush ($35): 1-2 business days (Orders placed by 1:00pm PST will ship the same day. 5) Where do you ship from? All orders ship from either our warehouse in Southern California or our warehouse in Kentucky. Note: Please check the condition of the parcel before signing for it. If it appears damaged or has been tampered with, please check the contents before accepting it from the courier and, if there are items missing, reject the package. 6) What if I need to change or cancel my order or change my address? Due to the volume of orders, cancellations and/or changes of address need to happen within 30 minutes from the time of placing your order. 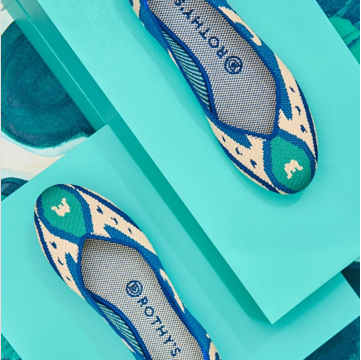 If you need to remove an item or cancel your order entirely, email us at help@rothys.com. Please put "CANCEL" or "CHANGE ADDRESS" in the subject of your email. If the thirty-minute window has passed, you can return your order once it is received for a full refund. If you would like to add new items to your order, please place a new order. We offer free shipping and free returns, so there will be no additional shipping charges. If you receive an order you intended to cancel, you can return it here . Our Customer Experience team is available from 9:00am to 5:00pm PST 7 days a week. We will do our best, but orders placed outside of those hours will most likely not be able to be cancelled. 7) How do I return my order? Rothy’s accepts all unworn shoes for a refund to original payment, e-gift card, and/or exchange within 30 days of purchase. Return or exchange your shoes in person with Happy Returns, via the Mail, or in our SF store. All returns or exchanges can be initiated directly at Happy Returns Return Bar or online. - Return or exchange in person: Visit a Happy Returns Return Bar. Click here to find a location near you. All you need to bring with you are your unworn shoes in the original packaging. Your refund or exchange will be initiated immediately. - Return or exchange online: Visit our Returns Center. You can either print a shipping label and drop off at the carriers listed on the label (USPS or FedEx). Or you can still take your shoes in their original box to a Happy Returns Return Bar. You will receive an email when your return is received and your refund has been processed. - Return or exchange in store: We are located at 2448 Fillmore Street in San Francisco. All you need to return are your unworn shoes in the original packaging and your receipt. 8) Do you offer exchanges? Yes! We offer exchanges for a different size in the same style. Unworn shoes may be exchanged within 30 days of purchase. Simply select your return reason, and you will be prompted to select a different size. Select a new size and it will take you to finish processing the return for the original pair. Print your free shipping label and drop the return pair in the mail (and remember that the return labels are time sensitive). Once you process your exchange, your new size will be shipped out right away. We will not charge your credit card for the exchange as long as we receive the original pair back. If your exchange size is out of stock, please process the return and we'll refund you when the shoes arrive at our warehouse. You can reorder once your correct size is back in stock. 9) How long does a refund or exchange take to process? Returns typically take 10-14 days to be received into our warehouse and processed. Our Returns Team is located on the west coast, so returns traveling from the east coast will take the longest amount of time. Exchanges are shipped within 24 hours from when you request them during the return process. 10) How do I return my order? 11) Do you offer exchanges? Yes! Please note we have changed our exchange policy. We now offer exchanges for a different size and color in the same style! Your exchange order will now ship when the original order has been returned at a Happy Returns Return Bar or sent back via the mail. Unworn shoes may be exchanged within 30 days of purchase in the original packaging. - Exchange in person: Visit a Happy Returns Return Bar. Click here to find a location near you. All you need to bring with you are your unworn shoes in the original packaging. Once your original pair has been processed at a Return Bar your new exchange pair will ship out within 24 hours, if processed within business hours. - Exchange online: Visit our Returns Center. You can either print a shipping label and drop off at the carrier listed on the label (USPS or FedEx). Once your return has been scanned by the carrier, your exchange order will be shipped. Please allow 10-14 business days for your return to be processed. Or, you can still take your shoes in their original box to a Happy Returns Return Bar and your original pair has been processed at a Return Bar your new exchange pair will ship out within 24 hours, if processed within business hours. - Exchange in store: We are located at 2448 Fillmore Street in San Francisco. All you need to exchange are your unworn shoes in the original packaging and your receipt. Your refund will be initiated immediately. You can exchange and receive your new pair in store if your size and style is available. If your desired size and style is not available in store, your shoes will ship once your return has been processed. 12) How long does a refund or exchange take to process? - Refund or exchange in person: Once your original pair has been processed at a Happy Returns Return Bar, your refund will be initiated immediately and your new exchange order will ship out within 24 hours, if processed within business hours. Click here to find a location near you. - Refund or exchange online: Visit our Returns Center. Once your return has been scanned by the carrier, your refund will be initiated and your exchange order will be shipped. Please allow 10-14 business days for your refund to be processed by your bank. - Return or exchange in store: We are located at 2448 Fillmore Street in San Francisco. All you need to return or exchange are your unworn shoes in the original packaging and your receipt. Your refund will be initiated immediately. You can exchange and receive your new pair in store if your size and style is available. If your desired size and style is not available in store, your shoes will ship once your return has been processed.